Now that the hectic Holiday season is over, it’s time for a jaunt to check out another interesting site in Maine. 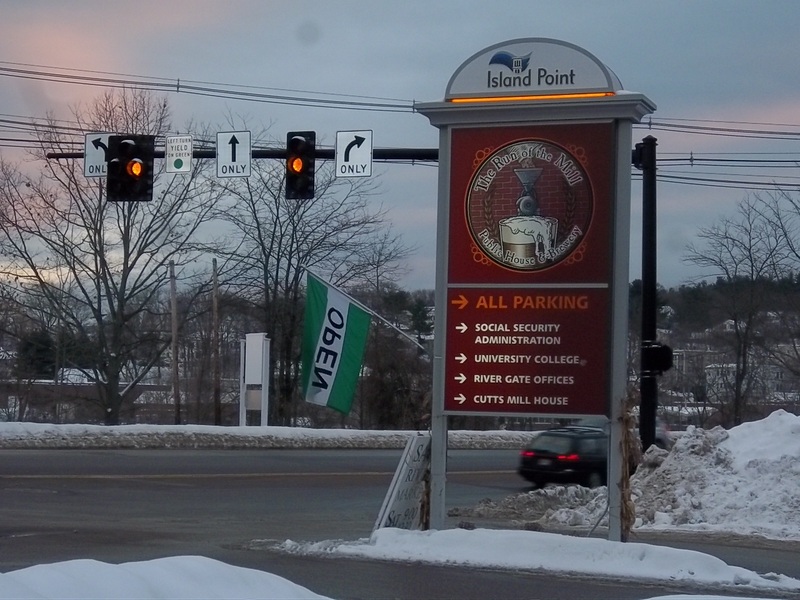 Over the years, I have had occasion to travel on Route 9 to Kennebunkport many times. 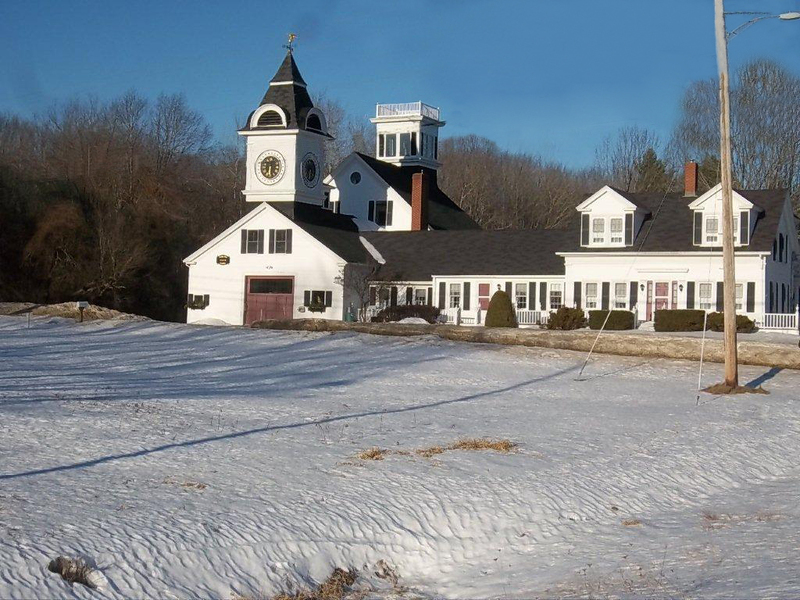 I have always been intrigued by the large white farmhouse with the high clock tower on The Goose Rocks Road where it crosses Route 9 in Kennebunkport. This seemed like a good time to solve the mystery of why the clock and tower are there. On one of the near-zero days that we have experienced recently, we braved the polar atmosphere and set out for Route 9. As I have gotten older, I’ve learned to appreciate the surrounding landscape in all seasons and at all temperatures. The temperature was frigid, but the sky was electric blue and the fields were shimmering meadows of white satin, contributing to the mystique of winter. This time, as we approached the intersection where the farmhouse is located, we turned right from Route 9 onto Goose Rocks Road. Facing the farmhouse front on, we could see a plaque on the barn which identifies the house as the “Emmons Clock Farm.” This farmhouse is a handsome white frame building of which the earliest part was built in 1773, with additions added during the next century. It has been kept in excellent condition. The attached barn supports a high tower with a very large clock. With the name of the farmhouse, I was able to do some research and easily found the story of the clock on the tower. In the 1890’s the farmhouse was owned as a summer residence by the Emmons family of Massachusetts. Mr. Grosvenor “Gros” Emmons owned a factory in Lawrence, Massachusetts. He must have been well-liked as an employer because records show that his employees contributed $250 and bought a clock from the Howard Clock Co. for their boss. Mr. Emmons built a tower on his factory and had the clock installed there. However, the clock proved to be a source of disagreement as the employees felt that it didn’t keep time accurately. 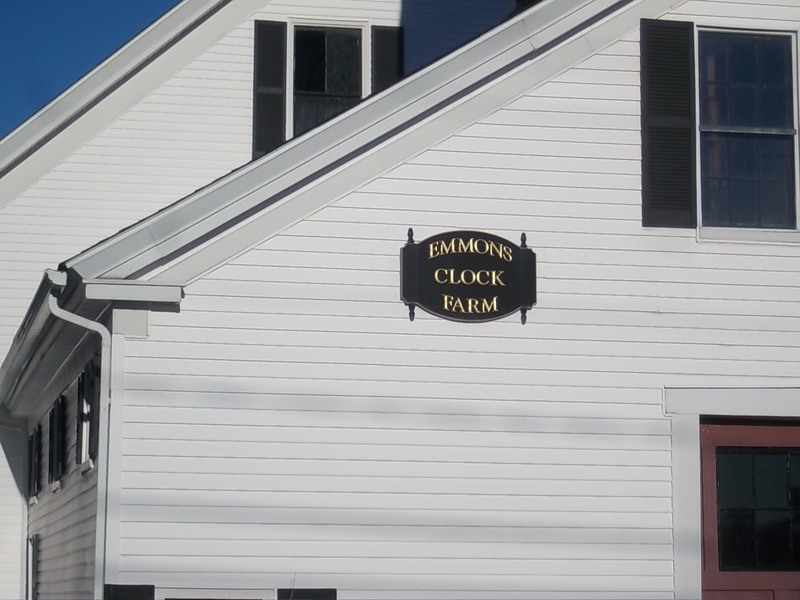 Mr. Emmons decided the way to end the dispute was to move the clock to his summer home in Kennebunkport. The Howard Clock Co. was employed to move the clock and prevailed on Mr. Emmons to spend $1000 to upgrade and get a better clock! He did so and built the tower on the barn to display the new clock. Another interesting fact I discovered is that the farmstead was threatened by the fires of 1947. An adjacent building known as the “servants”quarters” was destroyed, but the Clock Farm itself was saved because a smaller fire was started to create a backdraft that spared the farm. Now I can cross another item off my “wish I knew” list as I know the story of the clock in the high tower. As usual, we used this trip as an reason to visit a new restaurant in the area. 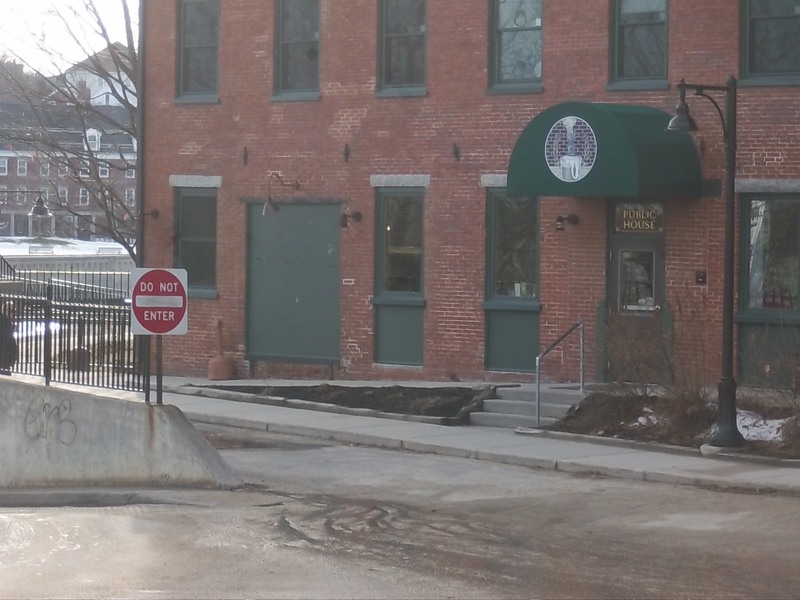 We chose Run of the Mill Public House and Brewery in one of the old mill complexes in Saco. The interior of the restaurant has the original hardwood floors and brick walls. There are many old artifacts, including mill pictures, which contribute to the historical ambience. There were four in our party and we all enjoyed quite different meals. Organic produce is offered when possible and the menu has a variety of selections. Run of the Mill is also a micro-brewery with a wide selection of brews. We are happy to add Run of the Mill to the menu of restaurants that we intend to visit again. Run of the Mill Restaurant is located at 100 Main Street, Saco, not far from the Downeaster Train Station. 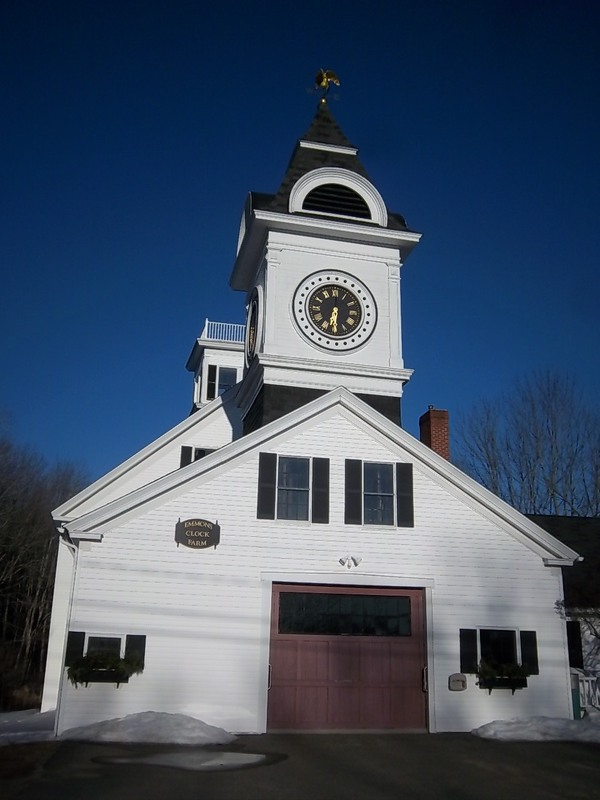 This entry was posted in Maine, Uncategorized and tagged 1947 Fires, Emmons Clock Farm, Goose Rocks Road, Grosvenor Emmons, Howard Clock Co., Kennebunkport, Run of the Mill Public House. Bookmark the permalink.